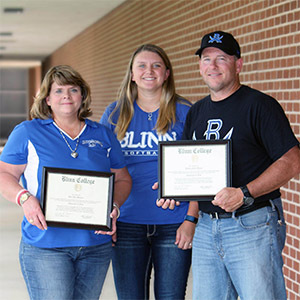 At the end of the Fall, Spring and Summer semesters, the Blinn College District awards diplomas to students who complete their degree and certificate requirements. 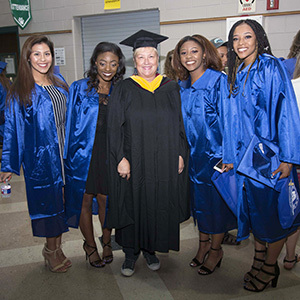 Blinn invites graduating students to attend a formal commencement ceremony at the end of the Fall and Spring semesters. 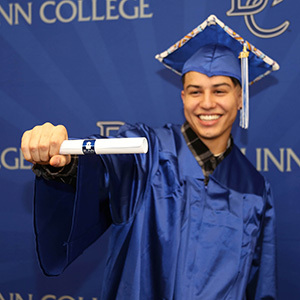 Students who complete their coursework in the summer can attend either the Fall or Spring ceremonies. The ceremony location alternates between Brenham and Bryan. Blinn does not automatically award degrees and certificates. Students must apply for graduation within the semester they are completing the coursework. If you transfer to an university before graduating from Blinn, you can still earn your associate degree through reverse transfer. You can order a duplicate or replacement of a lost or destroyed diploma for a small fee.